Products/Services used: Dexion Pallet Shuttle system. HIT Trading has existed for over 100 years, buying and selling a wide range of household, outdoor and seasonal products. They are primarily wholesalers and many of their lines are manufactured in the Far East, stored in their 20.000m² warehouse and then sold to retailers. 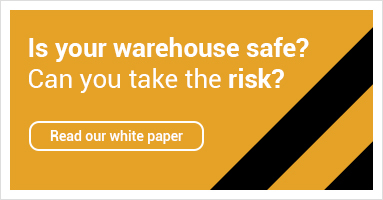 With over 5,000 constantly changing lines, an increase in demand for their low-priced items and an upturn in all sections of their import/export business generally, they were beginning to run out of space in their warehouse. They considered extending the premises, but felt this was a very big step to take. The company was keen to explore the possibility of other solutions first. As soon as Dexion became involved, they knew they could provide the exact solution. The Dexion Pallet Shuttle system could have been tailor-made to alleviate the problem that HIT Trading, and many similar operations faced: to make their storage more efficient. The Dexion Pallet Shuttle system stores the pallets consecutively and when they are needed, a shuttle- in the form of a battery operated pallet truck- brings the correct pallet to the front for picking or removal. The whole operation is carried out by a single warehouse operative and a remote control. The posts of the Pallet Shuttle system are placed against a wall, which again saves space and the need for multiple aisles is eliminated, which allows for higher density storage. Pallet Shuttle System of 8 sections of 5 pallets high and with a depth of 10 meters including safety accessories. "Dexion = no nonsense. They were thoughtful and flexible and delivered what they promised." - Mr. Harm Plasmans, Hit Trading.